In 1948, the year of the London Olympics, the Daily Mail carried a centre spread of a Lippizaner horse performing a capriole. On the strength of this photograph, the young Charles Harris took a train to Aldershot, where the equestrian events were held, and after narrowly avoiding arrest for loitering without authorization in the stable area, managed to procure a meeting with the rider of the horse, Alois Podhajsky. As a result, and sponsored by Colonel VDS Williams, one of the leading equestrian figures of the day, Charles became the first pupil to complete the 1948 – 52 course at the Spanish Riding School in Vienna. Every day he wrote down what he had learned, illustrating each point in his own inimitable style, filling two thick A4 notebooks. These numbered notes are faithfully reproduced just as he wrote them, forming a unique and fascinating record of the nuts and bolts of classical horsemanship as taught at the most exclusive and famous riding school in the world. The workbooks are prefaced by a memoir of the author’s life, taken mainly from transcripts of conversations with his nephew, Robert Sherman, together with additional contributions from his contemporaries. Born Charles Gallewski in the Jewish quarter of Sunderland in 1915, Charles experienced a traumatic childhood, spending time both at a workhouse and a children’s home. After an incident-packed period during which he deserted from the army and changed his name twice, Charles, a talented horseman, gained a fellowship of The Institute of the Horse and his future looked promising. However, his return from the Spanish Riding School found him a prophet without honour in his own country as the equestrian establishment resisted the teaching and discipline of the Spanish School. A fierce and unforgiving opponent when disputing points of equestrian technique and safety, Charles became a thorn in the side of the British Horse Society who, having previously awarded him a fellowship, then stripped him of the honour. 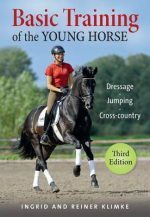 This memoir, at times painfully frank, often extremely moving yet full of humour, provides a compelling insight into one of the great characters of the horse world: a brilliant, yet always controversial man.